"A chat that adapts every day to what we need"
In general, it is a really good tool, which complies with each of the characteristics presented. The instant messages in real time that I can exchange with clients and colleagues are totally effective, and with this great option of the bots chats, which collect general information of the clients in case of needing help, it has become very easy to answer when we connect to messaging, in this way we extend our customer service system to something much more diversified and wide where we cover much more field than before using Freshchat. Personally I would like to be able to personalize with different tags or categories in the chat and also have better options to adapt answers to frequently asked questions that customers have. Constantly updates are presented so that as time goes by Freshchat is more accommodated to my needs. It is a versatile and flexible tool that adapts to any small, medium or large company; for any field that is needed. Work in real time, improve customer service obtaining better results in the quality of the product offered. I recommend it to find better solutions with an effective messaging system. In a great way we cover a large number of customer reports, quickly and in real time we attend to any problem that may arise to find the best possible help. Being able to be closer to each of our customers, improve our response time and find quick solutions are three of the great advantages we have obtained from the software. "Has potential, but still a ways to go. Updated as they've acted on feedback to improve. " It does offer a decent experience on the customer side (as far as interface). If you are using it in the specific way that Freshworks intends for it to be used (in other words, using the specific workflow they want, I assume something like the workflow they use internally) then it probably works fine. I spent most of my first week talking to their support team trying to find options, trying to fix bugs, and asking questions that weren't answered anywhere in the documentation (such as it is). Most of the replies were 'we don't support that' or 'sorry, you should actually follow this workflow instead'. Why remove simple options that were available in the old version? A new version should be more customizable, especially when they redesigned it to be a fuller experience (I thought), it shouldn't be less customizable and restrictive. And of the 4-5 requests I've made for features to be adjusted, I've only 1 time heard 'I'll pass that on to our team'. Every other request? I was told we should change our processes and workflows to match Freshchat's intended flow. The Freshdesk integration is weak, and if you choose to send chats to tickets then your ticket reporting will be messed up. Mixed feelings. It is currently a frusrating tool with a lot of limitations for us. But they've acted on some of my feedback, and seem genuinely interested in improving, so that's a plus. Give it a try as it might fit exactly what your team is looking for, but at this point I would call it a rough tool that needs a lot of polishing. We were looking for a live chat tool. This has solved that business problem to an extent. Simplicity and Design are two of the most life-changing features of Freshchat. The possibility to add Freshchat on your website and on a blink of an eye start supporting your precious customers. If you really want to get in touch and aggregate value to your customers, Freshchat is the right tool for you. Freshchat for sure is going to change the way you chat with your customers and they'll definitely going to love the simplicity of getting help. I love how easy it is to use. We haven't had a chat for our customers before and we've had 0 problems getting started. The FAQ is a wonderful addition to our supporttools that will help lower pressure on our helpdesk. The monitoring pages are great. I can see up to date information of my team's performance whenever I want. We're still experimenting with the canned messages and campaigns, but it looks very promising. I would like some more customization options for the FAQ and chat. Screen size, tags, more categories etc. The bot could be better, but it seems new stuff is being released every month, so perhaps we'll see that in the near future. Just try it. I'm pretty sure you won't be disappointed. With 4 people on support we're not a huge part of the company but we handle hundreds of tickets. Freshchat (and Freshdesk) have replaced 3 other programs that were taking way too much of our time. The FAQ and knowledgebase have consistenly lowered incoming calls. "Freshchat is great for interacting with customers in real time and exchanging information with them." Freshchat has a Simple interface and is easy to setup. Freshchat integrates well with Freshdesk to create tickets that contains the chat session information. Freshchat allows us to interact with our customers to resolve support issues and communicate training information. Freshchat allows us to send links to documents that the customer needs to reference from our knowledge base instantly. Some of the features are out of our price range. It would be nice to be able to add individual features to a basic subscription. A basic price with an a'la cart addition of the desired features would be great. I would like to be able to have agents set their availability inside the help desk screen so if they are working with a customer they will not be disturbed. Freshchat makes a great addition to your help desk allowing you to interact with your customers in real time. We use Freshchat to work with customers to answer questions about setup and configuration of their system. Support agents can send a link to documentation for the customer to reference while helping them with specific issues they are having. Being able to interact with the customer in real time is much more efficient and resolves the customers faster than email reply's. "Strong chat features from a dedicated team"
Chats are fully visible to other agents. Agents can view other chats and leave private or public messages. This makes it very easy to collaborate in the background, step in where needed or use chats as studies for the team. As a manager it's very useful for keeping an eye on chats that might have been missed by the agent. Asynchronous messaging is really cool, but still confuses some visitors. Despite careful tweaking of the offline messages, some visitors still explode because they think they are being ignored when all agents are asleep. I would like to see an option to make business hours more explicit. The Freshchat team are incredibly responsive with setup questions both at the start and ongoing. You can be sure that they will help you to reach your goal even if you're simply failing to find the settings that you need. Freshchat is integrated nicely with Freshdesk. The primary problem that it solves for us is providing an instant communication method for customers who have urgent requests, while keeping their conversations synced with the main support desk so we never lose a topic. Ease of set-up is what I love the most. Not being a tech person, a lot of tools tend to get very intimidating when it comes to setting things up. FreshChat simplified a lot of other things for me moving forward from setting up as well. I faced certain situations where delivery of my chat messages were being disrupted due to add-ons to my browser. If you are using a chat tool for the first time and considering FreshChat, It's better the scope of requirements are understood first. The jump in features is quite extensive as you move through plans and their pricing. Knowing the scope lets you understand what can be compromised and what can't. Given the right kind of text in the right campaign, I understood customers were more comfortable in dropping contact information within FreshChat than going through an obligatory sign-up route. Using FreshChat increased my in-bound leads by a good margin. "Freshchat- Connecting your business with clients"
A well thought workflow to connect all incoming requests to the support platform. Extensive reports to evaluate and analyse. Support is amazing and really efficient. Pleasure to work in a well planned and thought product. The bot takes care of registering queries if the team is not online and can follow up really easily later. Nothing as of now, some additional features when added would convince me to give them a full rating. Would love to recommend this service to others along with other Freshwork services. Efficient support and quick resolutions with extensive Knowledgebase/ Documentation has a lot to do with my recommendation. Kudos to the workflows in the support system and the ease with which you can set them up. We are using freshchat to connect our support mainly apart from creating more leads and help closing them. "Great tool to start your crm service"
Some things could be smoother. For example it is kind of difficult to follow a very long thread of emails from users. I would recommend Freshchat to anyone looking to provide their customers with live support. If you have one agent dedicated to live chat then the free version is the way to go. If you are a bigger team, then I recommend looking into the paid versions because they offer a lot of functionalities. Additionally, Freshchat integrates seamlessly with Freshdesk, which allows you to never miss any customer communications. The thing I most like in Freshchat is the "Chatbot" feature which lets you capture the customer information without even putting in an effort. The other thing I like the most is the customer support given by the Freshchat team at every step may it be a demo or queries, the Freshchat team has always been up to the mark. My whole experience with Freshchat has been great. So, as of know nothing! A software which can be easily implemented and modified according to your needs and wants. User-friendly software which lets you make campaigns and capture information without even putting an effort and helps in making targeted campaigns to reach out targeted prospects. I am trying to engage more customers, by solving their queries and making use of the targeted pop out campaigns on the desired pages. Also, while doing so providing customer support by solving any queries that come this way. Simplicity and constant introduction of new features. I also like the ability to forward a reply to a users email if that user has not viewed the reply in a specific time period. Lack of important modern features like bots. I also dislike the fact that they removed the ability to schedule a future notification targeted to some users. This was very helpful when reminding users to upgrade to the latest app. I also dislike that the only users it captures are those who contact us and not all the users who have downloaded my app. Retain some of the features that existed in hotline, like the ability to schedule future notifications. I also feel like you are developing for yourselves rather than asking customers what they need. I feel that 60% of the features on Freshchat are not applicable to my business yet I pay for them. Customer communication and issue resolution. Our users are better able to communicate with us on problems they are having and we are quickly able to respond to them. "Amazing features, Good support, fair Interface, Bad documentation"
I love that Freshchat is embracing a broader chat solution. Instead of simply offering a window with which to exchange text, Freshchat provides a rich experience with linkable FAQs, images(including GIFs) and a decent array of integrations. I really love the fact that Freshchat has the ability to integrate with my website, allowing logged in users to open a chat window and communicate using their identity from our site. This saves on repeat questions, avoids misinformation when users share accounts and supply their personal email instead of the credentials they're logged in with, and it helps us retrieve valuable information quickly. The Events API allows our site to submit data to the chat tool so that when a user reaches out to us we can see their activity on the site and the Smartplugs feature allows us to query our own api for more information right from the chat interface. The shared chat interface is great, it allows techs to shadow other users and help them answer questions, teaching the agent as well as helping customers. FAQ support within the chat widget makes information available to the users right at the point of contact. Ticket creation in Freshdesk allows sales folks to create IT tickets in seconds, losing no context and costing them no additional effort. First and foremost the developer documentation is a hot mess. There's only documentation for raw JS integration, which means anyone using a framework is guaranteed to experience headaches trying to wrap the necessary calls and get them to play nice with more complex arrangements. Instead of pasting a few JS scripts into the various pages on my site, I had to wrap it in a service and I'm still playing around trying to get it to handle the login correctly. Second, because the documentation doesn't deal with frameworks and the like, crucial behaviors like the necessary steps for clearing a user, the purpose of certain components of the scripts provided and the classes needed to hide the widget on print are all missing or described minimally. As of the writing of this review, the entire developer documentation is a single long-scroll page with about 10 subheadings. The robust features on offer require a significant time investment in order to perform dynamically as intended. Admittedly Freshchat is a young product, and the service is great about helping me work stuff out, but having to deduce what my code is doing is not ideal. Notifications in the app are not loud enough and they're somewhat flaky. Agents don't get notified if they're on another virtual desktop/workspace, they don't always hear them when they're on another browser tab. These are probably simply quality of life improvements but they stress our agents when they cause customers to get dead air. Look at the dev documentation, determine if you can do the necessary legwork yourself to integrate their simple tools with more complex sites. Consider the paradigm you're stepping into, Intercom and Freshchat both use a "Messaging, not chat" approach that emphasizes the ability to initiate conversations, share conversations among agents, and track or interrogate user activity on your site in order to target them. As a support tool these features are excellent for helping users on a webapp, they may be nigh useless on a site selling a physical product, if their marketing goals don't serve you. Finally, consider FreshDesk or FreshSales. A great amount of the value here is that FreshChat can link it's communications into the sibling products from Freshworks and create a picture of the user in multiple departments. If you're committed to other products for those niches, make sure the integration for those will be similarly robust. Freshchat provides a rich interface for interacting with users and has the potential to let us reach out proactively. Importantly for our original use case, Freshchat empowers us to gather client side information about our webapp without requiring us to coach out technically uninformed users through the process of extracting it themselves. We've already saved time by allowing techs to coach sales employees through an issue and the ability to simply convert chats to tickets saves us lots of time hashing out what the user said to the chat agent. Channels promise to allow us to integrate multiple spheres of control, allowing specialization in our chat teams. "The perfect way to interact with potential clients"
The way Freshchat seamlessly integrates into your existing website giving you the ability to chat with potential customers or clients. The code required to do this is minimal but the experience is top-notch. When you pair Freshchat with Freshsales then everything just becomes seamless. Freshchat also allows you to set business hours so that potential clients know that you are not around, but can still leave you a message. And the implementation of chat bots allows you to gather information from your potential clients before chatting to them. There is nothing to dislike. My only criticism (if it is one), is that changing the language strings cannot be done from within the interface, instead, you need to do this with custom code when invoking the chat widget on your website. If you want to have an on-site way to chat to potential clients, Freshchat makes this so easy. You can even have messages sent from your Facebook messenger chat for your Facebook Page appear in the same interface as Freshchat. Pair this up with Freshworks amazing Freshsales offering and you can easily see your client base in one place. I am using Freshchat to integrate seamlessly into my website to help convert more visitors to potential clients by allowing them to talk to me from within the website. If you you're using Freshsales as well (and you should be),you can convert these conversations into leads to follow up on with ease. I like that you can integrate this program with a lot of other ones, like Facebook Messenger. I like that I can message my team and customers in an intuitive way. I like that I can collect data from the people I want and "put them separately", like a favorite tag. I like the design, it's really modern. I like that you don't have a limit when it comes to having contacts, and there's this section that is called "reports", where you can monitor your team's productivity and you can see what you can do to improve your business. It was a bit difficult to set up, but the customer service is really nice and it helped me with everything I needed to know! This is the best of its kind, and I think that people should use this software. We can talk with our customers in a faster way and answer all their questions and all they need to know. It's easier because we can talk in a long-distance service and they don't need to send emails. "Finally the website support integration we were searching for!" The Freshchat support team. Hands down. They have worked for two+ weeks to help me with a situation that has been a major thorn in our side. I'm wholeheartedly thankful for the two individuals I have been working with over the past weeks. On top of that, the integration with our website went seamlessly and we were up within minutes once we had the chance to add the code. In just under an hour, we had a chat system added to our site, custom trigger messages, and a system that matched the theme and colors of our website. We are constantly on the go or busy with business tasks that require us to be away from the computer. With the FreshChat app, we can now respond to any questions while we are away. This was one of the biggest selling points for us. It's an added bonus that the system looks amazing. It's the clean and fresh style that you want in 2019 and beyond. We tried many free plugins for our website, but they all looked disgusting. The comments below that are hating on FreshChat. haha kidding. But really, I have no complaints at the moment. I'm still amazed by the support that I have received from FreshChat and the individuals I have been working with. I have never worked with a crew like this that actually cared. They are right up there with the awesome support teams like WooCommerce, Amazon, and Stripe. There is nothing to lose and it will give you a good picture of how your time with them will be. We are solving the problem of being tied to a computer-based support system that needs to be attended to daily. Using the FreshChat app, our chains are broken. I have also learned from the support team that I was working with that triggered messages are a great way to increase sales by being proactive. I have not really messed around with this yet, but my next task is to figure out the best way to use this feature. As a small startup, a huge factor for us is free cash flow, and with the fairly priced plan we have, this worry is gone. "Bringing Customer Service chat to the next level"
The fact that Freshchat is not a classic chat where you need to be online to attend to your customers. We work with a team of volunteers and even when there is no one available, the bot gathers the information and data from the customer and we can attend to the customer as soon as when there is someone available. This way we never lose interest from the customer. If we synch Freshchat with our Freshdesk the chats are moved into Freshdesk tickets. Unfortunately we cannot reply from within Freshdesk. When we are not online and when a Freshdesk ticket is created it would be a great possibility to continue the conversation within Freshdesk to follow up and provide our customers with the requested quotation for example. If the chat gets to a quotation we now manually need to create a lead in Freshdesk. If you never want to lose customers again Freshchat is worth trying. Don't consider it to be a a classic chat service, it will allow you to always get back to your customer even if the customer already left your website! You just need your bot to gather the information such as e-mail, name and phone and when you reply to the questions the customer will receive a notification on the email bringing him back to his initiated chat. We mainly answer the "quick questions" but from time to time customers also request a quotation after having a chat with one of our agents. "Staff and Clients Love FRESHCHAT"
Customer support. Better staff productivity , faster support , happier clients. More SALES ! Seriously we use it as a sales tool . As part of the product demo we log into live chat and show them how long real clients (arent) waiting . It blows people away. I really enjoy using freshchat in our company, because is very easy to give a good experience to our customers. The platform is friendly and It allow us to receive feedback from our clients when they are using our website. The thing that I dislike about Freshchat is the Inbox section, specifically when you open this area and you open another page on your computer, this section It open again and again, unless you locate your website navigation in other section on the freshchat page. I resolved a lot of business problems with freshchat. Why? because of our website try to give a really incredible experience, and when we use freshchat to resolve customers problems, at the same time we are given this great experience which mentions it before. "awesome service - highly recommend"
range of products offered by freshworks platform is what caught my initial interest - everything we need to handle leads, customer engagement, support. I especially like the al-a-carte but it all plays nicely together - pretty intuitive and easy to get setup and going. The phone app is great when I'm mobile and need to engage. only issue I'd say is the delay in response to support questions. Team is super friendly and helpful, but I see there is time zone delay. Not end of the world but would be nice to have support closer to my time zone but prefer to have the product affordable like it is so willing to wait for answers to questions. Self-support site is good. simply engagement with prospective customers and actual customers. Freshworks products have a very clean professional looking face to customers and the workflows are sensible/logical. "Easy way yo connect with your customers"
Implementing the plugin was so quick, within one day we were able to set up our chat support team. The basic plan itself have many features for a small organisation. We use fresh desk also to track customer tickets the integration with fresh desk helps us to manage our entire support operations efficiently and able to generate all require reports regarding support operations in a flash. Saves so much of time, also leaving many customer satisfied with prompt support. At times, the desktop notification fails to popup; Not sure if it's a bug or something. due to this the agents do miss some pings at times. We need to take it to the customer support. but it's not a trivial problem in managing the support workload. It will be very good to give integrations with data visualisation tools like tableau. this will help analysts like me to prepare the dashboards in required manner in the already existing company reporting ecosystem. Better visibility on how much support calls comes to team, reporting of the same to management was easy and clear. Billing for customer support became easy for us. Freshchat is a software that has been very unique since the beginning. It uses a cute design that help you focus on what you're doing with an interface full of characteristics that can provide you a well use of the software. I like it's easy to communicate with your customers in a live chat, and you have a priority box where you can keep the collected data. The mobile app is just as pretty and helpful. I like everything about this software except the pricing, it's a little expensive. Try the free version and see if you like this software first. Freshchat provides us with the capability to support our customers wherever they are and in real time. We are able to respond to their questions fastly and easier. "Great way to connect with customers"
Freshchat enables me to instantly connect with my customers, quickly and easily, like I was the sales person in a store. I can see what the customer is looking at on my website and respond instantly. The customer seems to gain more trust by this instant connection and I have found I can turn most connections into sales. I have not found anything on Freshchat that I am unhappy with. Be sure to set up some good triggered campaigns as most customer reaction comes from these. Freshchat solves the problem of the 'half-decided' customer, the customer that cannot be bothered to actually write to you or phone you directly. The initial prompt enables them to make a comment or ask a question without them feeling you are being intrusive. I have found that many conversations with my customers are quite long and the customer proceeds to make a purchase. "Still getting used to it. Not real user friendly"
If I switch off of it and go to another tab, it doesn't let me know if a user has responded. I'll come back and see that the person has been waiting on me, Also, I'd like for the other tickets to close once they've left the chat. Sometime's it may look like there are 20 chats open when in reality, there are none. "Great free product, good incentives to move to paid"
Ease of use and ease of implementation. It's great being able to have multiple agents participate in a chat, and the integration with other Freshworks products is super. Lack of automation of some actions on the free product - but I'm not complaining - it's free! The free version is great for small businesses or if you're just starting out. See what features you lack and move on from there. Direct contact with customers is something we love, but we don't have the bandwidth to offer telephone support. Having a webchat interface on our website is incredibly useful for answering quick or complex questions and pointing customers in the right direction. The way FAQs are presented is beautiful. The ability to have multiple chat channels is a plus. Their support is on point. Push Notifications work as expected. Analytics and autoresponders are useful. Mobile App functionality for agents is limited. Formatting of response and FAQs goes wrong often (blank lines are trimmed). Would like to have a way to run campaigns for existing users. CSAT fails sometimes if an issue is reopened. Would appreciate if we could assign multiple labels to a conversation. It'd also be good if we could have a screen where user keys in their name/email id (optional/mandatory) before being able to start a conversation. Go for it. The product is improving and the team actively listens to feedback, which is great. This serves as our end-user customer support platform. This is useful as customers using our product often have troubleshooting/sales queries. Our support team engages with the customers and helps make the product better, and solve their issues. Compared to some of the bigger players like Intercom and Drift, I think FreshChat is doing *incredibly* well - both in their features and in their price point. Their service is way more accessible for my agency stuff and I've recommended it to all my clients who have also seen great results. Support services hours are off-and-on. I really have no idea when I can contact them, and the response times vary from instant response to a day or so, even on business days. It's not a bad response time, but it's just my thoughts. I would love to see some improvements to the bot as well. Having a better time helping clients turn prospects into customers by being able to answer questions on the spot, instead of waiting on getting an answer via email. It generates inbound leads for my business. Helps address visitor queries then and there. None as such. Started using its features now. Haven't faced any issues yet. Its a must have tool for all those who try to acquire customers through online channels. Very useful in converting visitors to qualified leads. This platform also acts as a support channel for your customers to report issues/ask queries. Strongly recommend. This tool helps convert visitors into leads. Have been able to chat through their mobile app even when am not in front of my laptop. 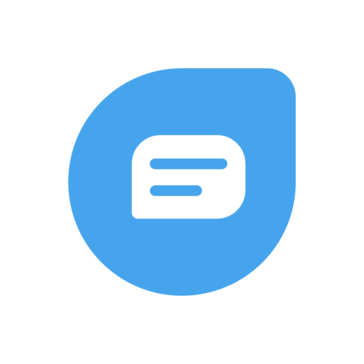 "Excellent chat, but needs a few more options for customization"
We very much like the FAQ feature of the chat, as well as the fact that it can be integrated with other Freshworks products, making it so much easier to provide customer service. We also very much like the triggers and the nice text formatting we can apply to the messages we send. We feel there should be a few more options for customization. Specifically, we feel that the bot function, which is very useful, should provide separate options for offline and online which go beyond which messages are sent. Namely, we'd like to be able to turn off the bot when our agents are online, or at least decide to ask more questions when offline and fewer questions when online. Also, it would be great for the bot to support translations. Moreover, color customization is a bit limited, not allowing users to select the font size or color (which is a problem when the text color matches a background color, making text not visible). We recently move to Freshchat from another chat service, specifically for the reason that it can be integrated with Freshdesk and Freshcaller. This allows us to provide better customer service, having all customer info at hand during any contact we have, whether email, chat or phone. We also decided on Freshchat for the excellent trigger feature. There have been times when random messages were sent out to users. But that's fine. Freshchat keeps customer conversation very which otherwise can be very complicated for a young company. "Affordable chat solution and easy to implement"
I like it that I can integrate it with WordPress fast and easy and if I have questions they reply really fast. I use it for my own business to responde questions quickly, and implemented it in a way that I can offer "VIP channels" for paid customers. "Works great for a reasonable price"
We like Freshchat because of the simple, intuitive dashboard which lets us communicate with site visitors quickly and professionally. We haven't found much to dislike about Freshchat. In fact, at the moment I can't think of anything that I dislike. We highly recommend Freshchat, as the implementation was fairly easy and operation on a daily basis is super smooth. Customers are communicating with us to ask questions about our services and products, and Freshchat helps to automate that process. "Producto aún en etapa de maduración"
Los tiempos de respuesta por parte de soporte de Freshworks, y el desinterés en entender y asimilar requerimientos nuevos para mejorar el producto. NO hay soporte nativo en idioma español. Los contactos que requieren comunicación telefónica no se pueden dar en nuestro idioma base; y no todos contamos con posibilidad de un segundo idioma. NO ha habido respuesta oportuna con respecto a nuestra inscripción al programa de partner (se tienen negocios a la espera de respuesta). Paciencia a la hora de atender inquietudes técnicas y soporte en Español. Captura de contactos (prospectos) en el portal, con atención oportuna de sus necesidades. Cierre de negocios. The fact that is connected to Freshdesk, and that I can create tickets right from there. The chat channels are also very innovative. They can really make the process of working on a team easier and make it less confusing and frustrating. The profile pictures are stretched when uploaded. Freshchat allows me to be more offensive, and more close to the customers than my competitors. Most furniture wholesale businesses do not provide live chat abilities. "Easy and powerful tool to provide our support services"
It's simple, easy to use an a powerful tool to provide timely and quality services to our customers. I like to have to access to our support portal thru all my devices. Not having the Mint UI most recent version. It adapts to your business solution with different plans, easy to use, great support, not expensive. As support manager, we have a fast and easy approach to our customers thru this tool. We have reduce our response time in our support requests. Convenient tool for customer communication and ensuring to maintain a high level of customer service. Certain integrations are a little complex to set up, but definitely possible after going through the guides provided by Freshchat. Using 1 platform for online communications with customers, and a platform where all our customer service reps are connected. It is easy to set up and use within your business, and is an efficient way to communicate with customers. "Impressive UI for excellent customer support"
The UI is very impressive, not only for the end-user but also for the agent panel. If you are looking for an easy to setup website/app chat feature, Freshchat is a right bet. As their development team is very proactive, they'd be adding a lot of revolutionary features such as powerful and intelligent bot. Prior to using Freshchat, we were using Intercom for our website chat. With Freshchat, we realised that adding FAQs was super-easy and it was also intuitive for the end user to navigate through the FAQs. The integration with the mobile apps was easy and we managed to integrate Freshchat across all platforms. Customers are loving the chat feature. "Freshchat is a nice user friendly alternative to mainstream live chat channels"
"User friendly -- Love the intro bots option"
I love how clean it is and how easy it is to answer from their Android or IOS app. It is easily customizable with different colors and backgrounds. It looks clean on my site and can pop up and ask questions with different rules. The set-up to create rules for different pages took some work, but it was not too difficult. They actually have great live chat customer service. I looked at several other options, olark, helpdesk, etc. This seemed to be the best combination of price/value. Customers can now chat with me instead of trying to send emails. Basically I am making it a lot easier for them to connect with me and they dont have to call me. "Good medium to coordinate with customers "
It is a simplest way to communicate with our customers over chat because people like chat rather than the calls, easy picking and having features like canned response makes it even better. Even you can see the user details and their properties. They help alot in identifying a particular user, their location and then provide them good support. As I'm using this feature from past 3 months i didn't find anything to dislike yet. It's a good way to provide support to our customer in simplest and easiest way. "Excellent Chat Solution for our Business"
Really easy to setup and get going. Support from the FreshChat team is excellent - rapid and responsive. I think that the small icon in the bottom corner could sometimes be missed. The ability to make this more prominent or add some text to it would be good. It is worth considering due its simple setup and user-friendliness for customers and agents. We are in the process of launching a new global online platform and with FreshChat, we are able to allow our customers all around the world to contact our support team directly, even when the team are offline. Integrate easily with magento. Good support and has pricing plan for startup. Very light and fast. I need more flexible settings for chat bots. For my plan, bots features is quite basic. For now, Im still working and trying with freshchat, but from my point of view, it supposed to be a better upsell channel. "Basic chat abilities with super powers"
I love the dashboard feature. It allows me to see how my conversations are going and how often i talk with certain people . I have started a new sewing business also and this helps me to keep track with my customers. Facebook messenger is just to messy and i prefer this setting. I am hoping to bring my whole team to this platform as it is very business friendly. I wish it had a tutorial that made it a little easier to navigate. Its not extremely hard to get to know but still takes some work. I am able to keep better track of my sales and customers with this chat. The dashboard interface is the big winner with me. It also helps me keep up with how often I conversate with each person in my team . The best thing I like about the app is that it keeps my work chats way apart from my family chats, in a different app which helps me focus while at work. Also usually, people now a days prefer to convey a message via chat over call. I also use the slack app and it mostly helps me do things I need, FreshChat needs to come up with something unique in order to keep me using the app. None major benefits, it just gives me a mobile-way for engaging with customers with some cool features. I hope with time I will see more. Most of all i really love the easy to first setup the platform, within minutes our team was already working without hassle. The interface is really simple and clean but packed with all feature needed to automatize and create a nice user experience for our customers. Language, we are a mexican base company and would love to have spanish language for the agents interface. We can solve doubts for our customers directly on our website and guide them in the purchase process. "Good customer service chat app"
Freshchat is a powerful live chat service for customer support. In this way we saved so much time in telephone calls. All our customers are happy with it! Live customer service without telephone assistance. "Quick tool for costumer questions"
It´s a new software so functions are rolling out more and more. I would like to have a better BOT that can use the FAQ to answer costumers before an agent steps in. Quick questions from costumers that we can answers. "SaaS company using freshchat for lead gen and support"
Freshchat is incredibly easy to implement and customize. Our support tickets have gone from 10-16 hours to close... to 1-3 hours. And we haven't waited longer than 2 hours to follow up on inbound sales interest. Honestly nothing. It's a great system. Maybe the pricing plans can be consolidated a bit more. Use this chat company. Best pricing for the feature set. Maximizing lead gen from company website visits and engaging current clients for support issues while they are ACTUALLY using our product. "Easy to use, helpfl support"
Wanted to try out a real time chat interface to support our users and collect any feedback/bugs/enhancements that they might have. * We monitor all Freshchat reviews to prevent fraudulent reviews and keep review quality high. We do not post reviews by company employees or direct competitors. Validated reviews require the user to submit a screenshot of the product containing their user ID, in order to verify a user is an actual user of the product. Hi there! Are you looking to implement a solution like Freshchat?